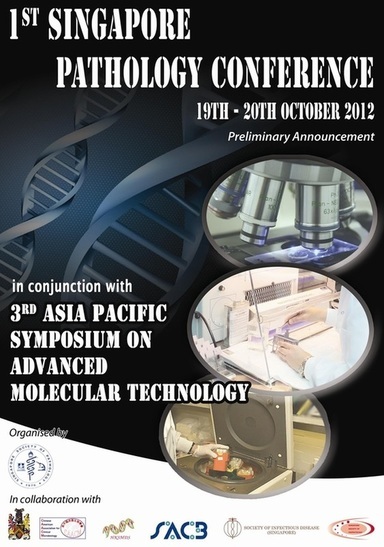 Details of previous Combined Scientific Meetings are listed below. 41th Annual General Meeting was held on the 20 Oct 2018, in conjunction with Annual Scientific Meeting 2018. The BD Award and oration were also presented. 41th Annual General Meeting was held on the 28 Oct 2017, in conjunction with Annual Scientific Meeting 2017. The BD Award and oration were also presented. 40th Annual General Meeting was held on the 15 Oct 2016, in conjunction with Annual Scientific Meeting 2016. The BD Award and oration were also presented. 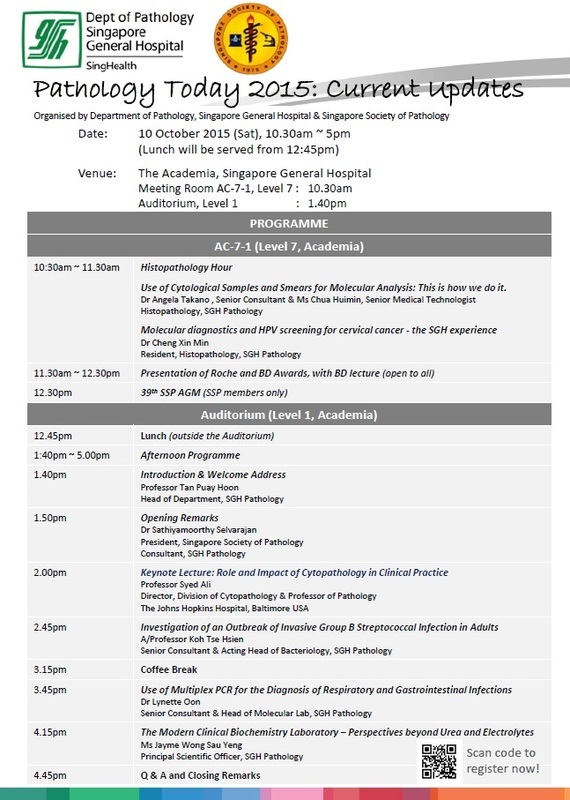 39th Annual General Meeting was held on the 10 Oct 2015, in conjunction with Pathology Today 2015 conference. The BD Award and oration were also presented. 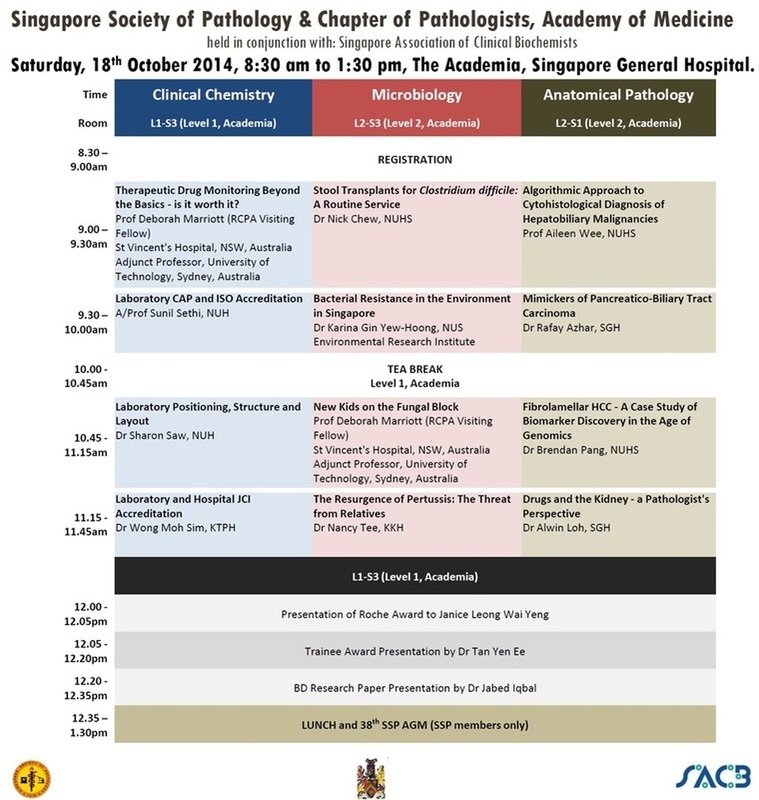 38th Annual General Meeting was held on the 18 Oct 2014, in conjunction with an Annual Scientific Meeting. The BD Research and Roche Awards were also presented. 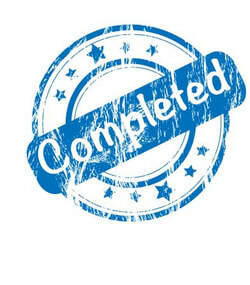 37th Annual General Meeting was held on the 4 Oct 2013. The BD Award and oration were also presented. 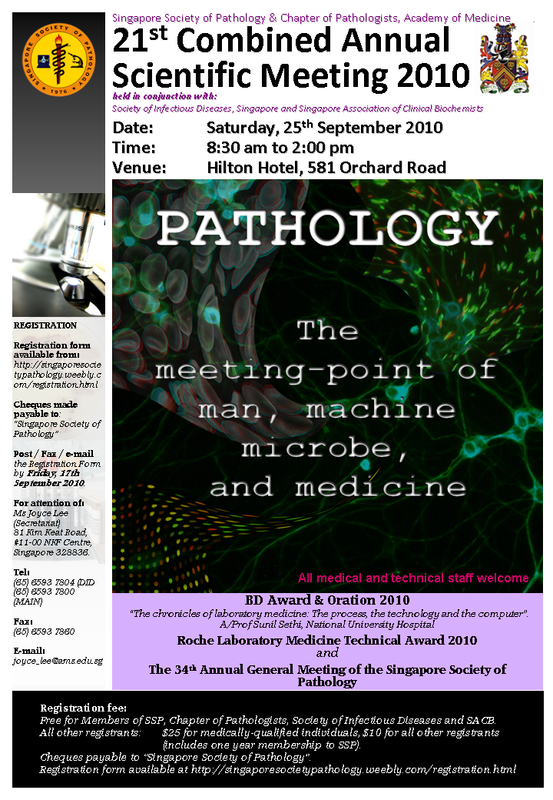 36th Annual General Meeting was held on the 20 Oct 2012, in conjunction with the inaugural (1st) Singapore Pathology Conference.